We can often become overwhelmed with the number of options available when it comes to web hosting. There are so many sellers, resellers, oversellers – how do we cut through to find out what we really need? It all mostly comes down to three kinds of hosting option – Shared hosting, Dedicated Hosting and VPS Hosting. These all refer to the way your site is hosted physically in the host’s server itself. When considering hosting, we’re thinking not only about the amount of space our website needs, but also how many people can look at it at once, plus how much information is allowed to be downloaded from your website per month – that is, server space and bandwidth. Shared hosting is a common way to have a website hosted. The server itself is shared amongst a number of websites, relying on the fact that many smaller websites never use their full quota of space and bandwidth. Often hosts offering shared hosting are, in fact, a reseller of server space bought elsewhere – which explains the large number of cheap hosting providers who offer very similar packages. Shared hosting can be a great option for personal sites and small businesses – it’s a cheap way to get a smaller website hosted, especially if you are looking for a web presence but don’t expect to have a lot of large files transferred (ie media streaming) or lots of people trying to access your site at the same time. Shared web hosting might not be the best option for larger businesses and e-commerce sites though. Larger businesses may find that they have issues with bandwidth and the shear size of their website in terms of files. The prevalence of reselling also means that you may not know the physical location of the server your website is hosted on. Because shared host sites all share the same IP address, if your site is sharing space with a disreputable site, simply sharing the same server could mean your SEO ranking is affected. It’s possible to have a site on a shared server with a unique IP, though usually costs more. That’s why you want to trust an Australian Web Host that ensures the best shared web hosting available. Dedicated hosting is just as it sounds – one server dedicated to one website. Dedicated hosting offers more choice regarding the operating system and management of the server, better security – both security of your data and of the physical location of your data – and is good for larger e-commerce businesses, corporations and high-bandwidth websites (such as video streaming websites). 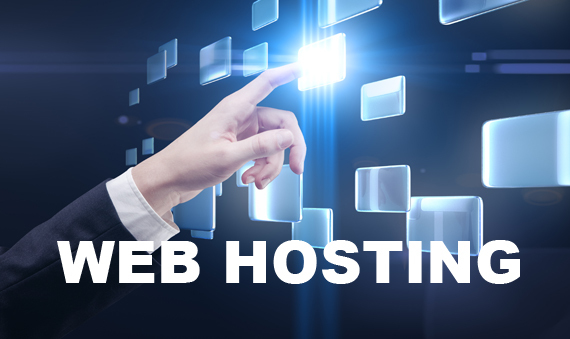 Talk to us today about your Web Hosting needs. A Virtual Private Server is a server partitioned so that each partition operates as if it is a dedicated server. It’s a compromise between shared and dedicated hosting: cheaper than dedicated hosting, as the hardware is shared – yet appears as a dedicated host. VPS (and related Cloud technologies) rely, in the same way as shared hosting, on clients not using their total quota of space and bandwidth (which is predominantly the case in the real world). A good host will manage their servers to avoid traffic ‘bottlenecks’ or too much traffic for than the server can handle. VPS is great for medium to large e-commerce businesses as it combines price with private service – though not suitable for some clients as some software doesn’t run well in a virtual environment.